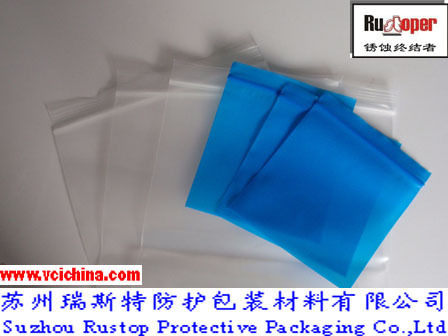 VCI Antirust Plastic Self Seal Bag is made by VCI corrosion inhibitor and PE materials. Opening and closing the bag is convenient,no hot sealing nor glue,recycle,high efficiency, reduce cost. 1.With good corrosion inhibitive function.Validity period of antirust will be over 2 years.